The primary purpose of a water softener is to treat hard water. Hard water is water that contains high traces of mineral content, like magnesium, iron, and calcium. These minerals are absorbed when naturally soft rain water hits the ground and filters through rock, sand, and soil. For this reason, hard water levels are different everywhere. Once city can have extremely high levels of hard mineral control in their water supply, while the neighboring city has lower levels and naturally “softer” water. When communities are plagued with hard water, they turn to water conditioning systems to treat the mineral ions. These systems are called water softeners. So how does a water softener treat hard water? The answer involves a little science and a little chemistry, but is easy to understand! Continue reading to learn more about water softeners and how they work to eliminate hard minerals in our drinking water. A water softener’s job is to remove hard mineral ions in a property’s water supply. The level of hardness is measured in terms of “grains per gallon” meaning how many milligrams of calcium carbonate per gallon of water. Take note that 1 grain equals 64.8 milligrams, so if a home’s water tests at one grain per gallon, then the water is considered soft. Soft to marginally hard water will range from 1 to 3.5 GPG, and anything higher is considered moderately hard. And anything measuring above 7 GPG is considered hard water, while anything higher than that is very hard. Any properties with hard water levels needs to condition their water for many reasons. Hard water is very damaging to our skin, nails, hair, clothes, plumbing, and appliances. It also makes soups, coffee, tea, and tap water taste bad and sometimes give off a metallic smell. A traditional water softener requires softening salt and comes with a resin tank. In this tank, thousands of tiny resin beads that holds electrically charged ions. When the system regenerates, the beads fill up with sodium ions provided by the softening salt. This salt has to be purchased regularly and manually filled into the tank. The salt pellets are large and not meant to be consumed under any circumstances. Think of it as a kind of detergent for your water. The sodium-filled resin beads attract all the magnesium, calcium, and other minerals in hard water as it passes through, and trades them for the sodium ions. So by the time the water reaches the faucet, it has been softened by the ion-exchanging technology of your water softener. Other water conditioning systems use reverse-osmosis, chelation technology, lime softening, and additional similar precipitation strategies. There are several make and model water conditioners on the market, but as for traditional salt-based units, the above process is what you can expect. There are also salt-free water softeners, electromagnetic water softeners, magnetic water softeners, and more. Call 317-537-9707 for professional water softener services in Indianapolis, Indiana. Our highly trained and experience contractors can repair, replace, install, clean, maintenance, and service all make and model water softeners for residential and commercial properties. 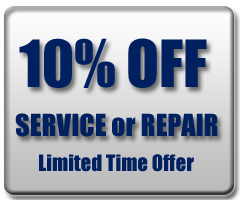 We offer free estimates, DIY advice, emergency repair services, discount coupons, and more. Call 317-537-9707 and speak with a friendly company representative about our competitively-priced water softener repair and service in Indianapolis, IN today. This entry was posted in water softeners and tagged Electromagnetic Water Softeners, Hard Water Levels, Hard Water Removal, Indianapolis Water Softener Repair, water softener repair, water softener repair and service, water softener services Indianapolis. Bookmark the permalink.